What to expect from the new law “On Protection of Economic Competition” adopted by Verkhovna Rada of Ukraine on February 7, 2019. On February 7, 2019 Verkhovna Rada of Ukraine voted for Draft Law 6746 “On amendment to certain legislative acts of Ukraine to ensuring the principles of procedural justice and improvement of the proceedings effectiveness in the suits on law violation on protection of economic competition”, according to which a number of key changes are offered to the Law of Ukraine “On Protection of Economic Competition”. One of the important innovations is setting of boundary time limits of carrying out an investigation by the Antimonopoly Committee of Ukraine (“AMCU”). Before the amendments the time limits of carrying out an investigation was unbounded, which created legal uncertainty for companies. According to the adopted law, the Antimonopoly Committee of Ukraine now has the strict period, depending on violation category, during which the investigation should be completed with the adoption of the appropriate decision. If the above-mentioned does not happen, the case is subject to closure due to violation was not proved. For all other types of violation – two years. Another important innovation is the provision regarding the new “settlement” institution for Ukraine. This institution is widely used in the European countries, but was not foreseen in Ukraine in the past. Its essence is that the antimonopoly body and the defendant in the case agree on the voluntary recognition by the defendant of all or part of the charges, for which a reduced amount of fine is imposed on him. This approach allows, on the one hand, to save public funds and time that would be spent on investigation, disputes in courts, etc., and, on the other hand, to reduce the amount of liability for the offender. According to the new 46-1 article which is added to the Law of Ukraine “On Protection of Economic Competition”, the entity can at any stage of the case before the Committee draws up preliminary conclusions on the case apply to the Antimonopoly Committee with an application for the settlement procedure. Following the request consultations are held between the parties, the terms of the settlement are agreed (in particular, the amount of the fine to be paid) and, in the event of reaching an agreement, the parties signs the relevant agreement. It should be mentioned, that the agreement is subject to approval by the economic court in accordance with the jurisdiction rules and shall contain a condition for the unconditional recognition of the violations by the defendant in the case and the amount of the fine, which should be 20% less than the amount of fine that would be calculated according to the general rules. This statutory provision is quite interesting but although it is not completely clear how it will be consistent with procedural legislation. One more interesting innovation is the prohibition by the Law to appeal by the defendant against the decision of the Antimonopoly Committee of Ukraine in the part which he recognized in accordance with the terms of the settlement procedure. The conditions of the reached settlement can not be recognized as information with limited access and should be fully described in the relevant decision of the Antimonopoly Committee of Ukraine in the case. Extension and improvement the procedure for exemption from liability for violations in the form of concerted actions for persons who have appealed to the Antimonopoly Committee of Ukraine with the recognition of the violation are also proposed by the Law. The complete exemption from liability for the first person applying is currently provided. reduction of the fine by 20% for all others. One more innovation is the detailed regulation of certain aspects of procedural issues of the case investigation. For instance, more detailed description of the rights of case participants and defendants are specified by the Law. In particular, it has a clearly defined right to ask the antimonopoly bodies and gets justified answers, the right to familiarize themselves with the case file (including the right to copy these materials), etc. The issue of the adoption of preliminary conclusions in the case and objections to them are also regulated more clearly. An important change is the fact that the Law now establishes a minimum period of one month from the date of receipt of preliminary conclusions, during which objections should be filed (currently this period is 10 days), as well as the maximum period for which the term for submission of objections on the person’s application may be extended – up to three months. Other crucial innovation are the norms concerning the possibility of discharge the officers of the Antimonopoly Committee of Ukraine or experts, interpreters in case of establishing the circumstances that cast doubt upon its impartiality or objectivity, in particular, in connection with the existence of a conflict of interests in accordance with the Law of Ukraine “On Prevention of Corruption”. It should be mentioned that the procedure of discharging from office the Antimonopoly Committee of Ukraine officer is not provided by the current legislation. 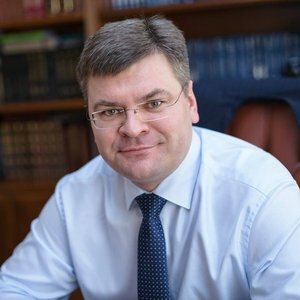 In general, the Law is very important for the further development of antitrust regulation in Ukraine, and therefore we hope for its early signing by the President and make it public. The Law will enter into the force within three months from the date of its publication, in addition to the rules governing the settlement procedure, which will apply from January 1, 2020.